Health enthusiasts, members of the press, social media influencers and those simply wishing to switch to a more healthy, beautiful and fit lifestyle; attended the culminating event for “Transformations—Beauty + Fitness,” the annual health and beauty campaign spearheaded by BFC Laboratories and Watsons Stores that seeks to help everyone achieve their health and beauty goals through a sensible program of regular exercise, diet and most importantly, supplementation. This is the second year BFC Laboratories partnered with Watsons for the “Transformation—Beauty + Fitness” event, which held its glitzy kick-off launch last September at SM Makati. 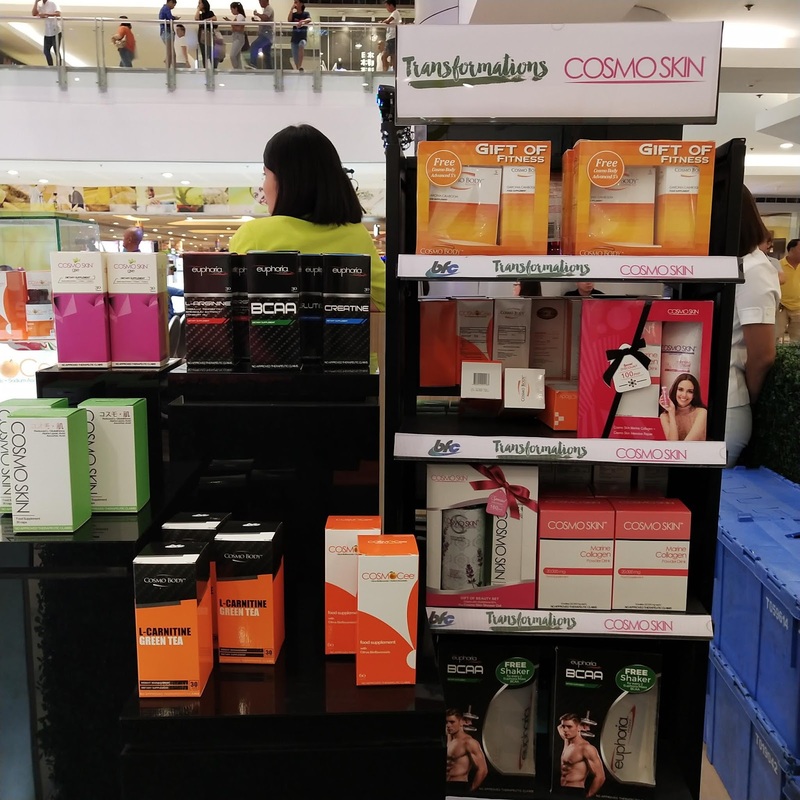 This was then followed a series of activations that saw BFC Beauty Booths going through the whole archipelago in a series of activations at selected Watsons stores nationwide. The campaign ended in a “Big Event” at SM Megamall’s Activity Center last November 4. 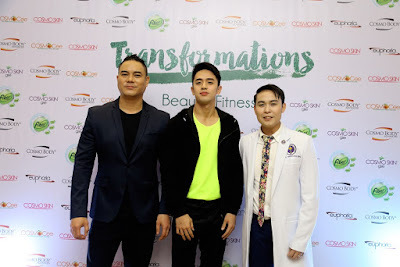 Present to support the campaign were BFC stalwarts including, social media influencer, host, model and BFC Lab Athlete, Jason “Coach Untoy” Villanueva; model, GMA Talent, and Euphoriamaxx Best Bodies 2018, David Licauco; Bb. Pilipinas Universe 2012, host and actress, Ariella Arida; actor, sports enthusiast, and Euphoriamaxx Best Bodies 2018, Enzo Pineda; and Miss World 2015, actress and GMA Primetime Queen, Megan Young, all of whom presented their own personal experiences on how they incorporated health, fitness and beauty into their own busy lives and professional careers, to help in their own physical transformations. To help the audience get into the mood for an afternoon of health, beauty and fitness, Coach Untoy, led the audience in a series of stretching and light exercises that was warmly received by the event’s audience. 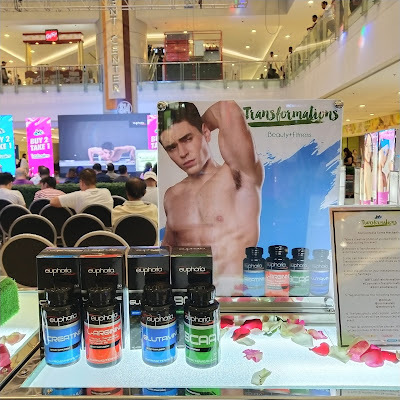 Along with BFC Director and Founder Nino Bautista, Coach Untoy also enlightened the audience on the how’s and why’s of the Ketogenic Diet and the importance of supplementation when following it. Incidentally, BFC Labs also informed the public that the company will be launching, Ketovit—a dietary supplement especially formulated for people following the ketogenic diet, who want to transform their physiques. 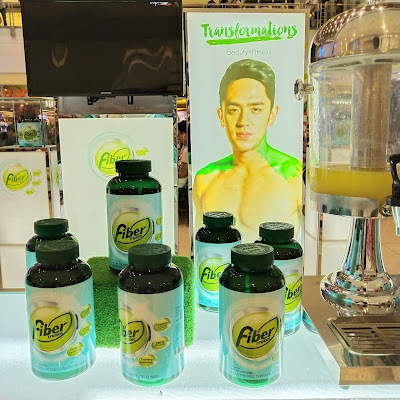 Citing the importance of fitness in achieving one’s own transformation, David Licauco also stressed the need for extra energy and strengthening immunity when one is focused on improving one’s health and weight. He noted that some foods that we take may actually help slow down metabolism; while others are notable for boosting immunity. He also stressed the importance of supplementation through regularly ingesting vitamin C through Cosmo Cee; and by taking dietary supplements and superfoods like BFC Acai Berry. The event’s theme of combining supplements with organically-sourced and “green” ingredients continued in the delightful talk of Ariella Arrida. The beauty queen introduced the event’s guest to a grocery list of foodstuffs that help in lightening skin and which also address the skin condition, melasma. Acknowledging that she—like most people present in the event—was hardpressed at times to source natural alternatives that will give her skin the glow of health that people admire; Ariella stressed the convenience of taking naturally-sourced Grape Seed Extract or GSE to help her correct dark spots and lighten her skin through Cosmo Skin GSE Dark Spots Corrector. 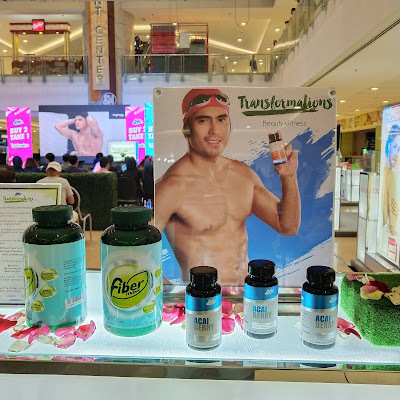 For his part Enzo Pineda talked about how regular exercise workouts can further be improved by supplementing one’s diet with pre, intra and post-workout supplements. He singled out, the different Euphoriamaxx variants of BFC Laboratories (L-Arginine, Creatine, BCAA and Glutamine) as essential in providing extra energy, in developing muscles and in promoting muscle recovery. He likewise stressed the importance of weight management in transforming one’s physique through naturally-sourced fat-busters (L-Carnitine and Green Tea Extract) in Cosmo Body Dietary Supplement; and the elimination of toxins through the ingestion of additional fiber through Psyllium Fiber in Fibermaxx. As an added tip, he also informed the audience to be more discerning when it comes to the food they take, noting that some so-called “healthy foods” can actually make one fat; while others too common to consider important may actually contribute in developing a “buff” physique. 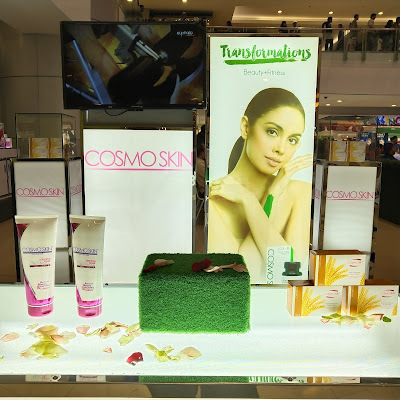 One of the most awaited segments was that of Cosmo Skin’s Megan Young. The beautiful and elegant beauty shared to the audience her own personal beauty and fitness routines; while at the same time encouraging them to be proactive in taking care of their skin. She encouraged the audience to start early in addressing skin-ageing, noting that one is never too young to take collagen supplements like Cosmo Skin Marine Collagen to minimize the early signs and onset of skin ageing. 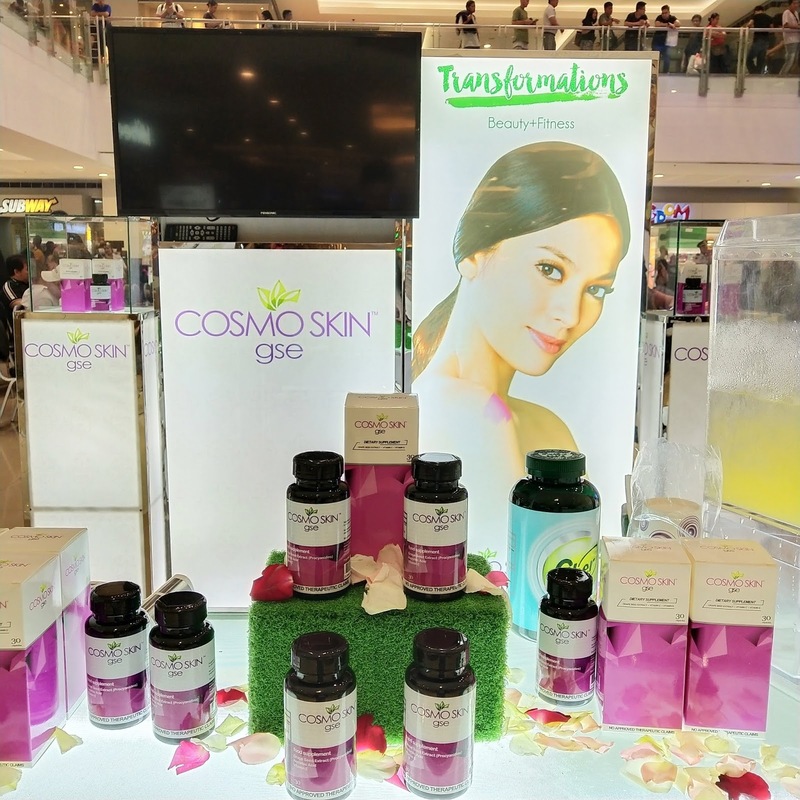 She also touted the virtues of Glutathione, informing the audience that it is actually more than just a master antioxidant, as it has numerous benefits beyond that of lightening skin. Megan also proved generous in giving the public numerous “skintellectual solutions” related to skincare. The event also served as the soft launch of sorts of BFC Laboratories’ newest dietary supplements, BFC Lab Acai Berry and Ketovit—a ketogenic-inspired dietary supplement. The former is made from the Acai Berry which is sourced from the Amazonian region of Brazil; BFC Lab Acai Berry promotes heart health, aids weight loss, promotes skin health, helps digestion; is an immune system booster, has anti-ageing effects, boosts energy and improves mental function. BFC Lab Acai Berry dietary supplement is now exclusively available at Watsons stores nationwide. Ketovit on the other hand is an especially formulated supplement that is meant to complement the needs of people following this highly-praised diet regimen. 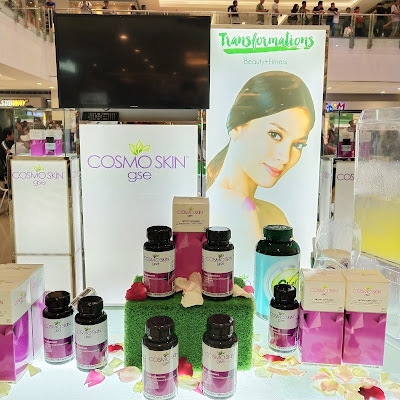 Another product mentioned during the event and which will be launched by BFC in the next few months, are the two “flavored” variants of Cosmo Skin Marine Collagen Powdered Drink, which will now come in Lime and Passion Fruit Flavor. 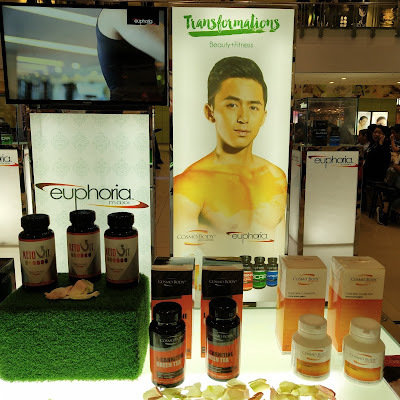 The “Transformations Beauty + Fitness” Culminating Event is the successful conclusion of a months-long celebration of health, beauty and fitness; that was held through numerous activations in various Watsons and SM Malls throughout the country. 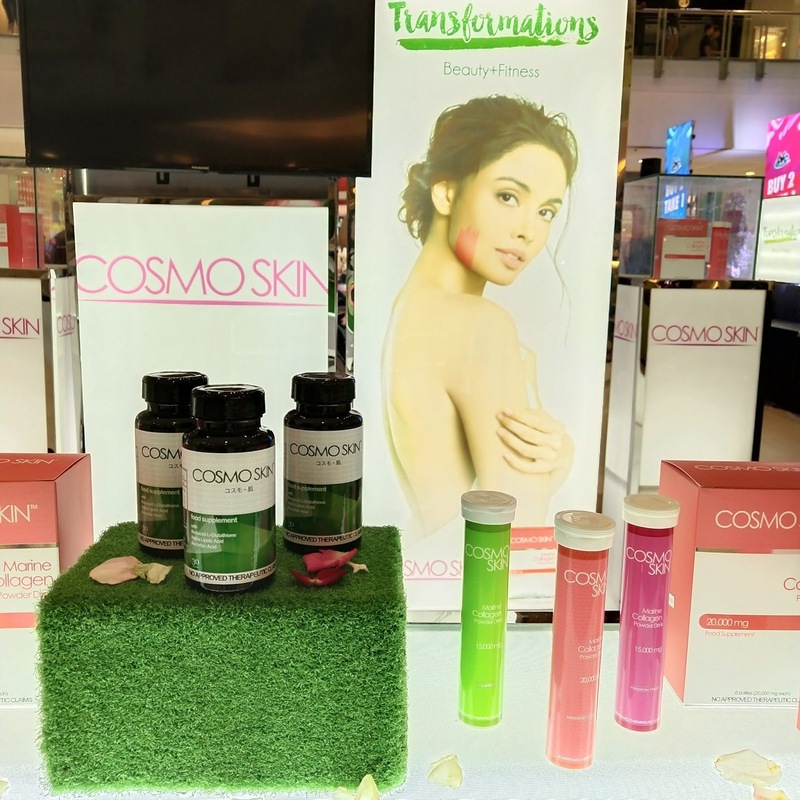 For more information about the BFC products featured in the event, log on to www.cosmo-skin.com or follow BFC Laboratories on Facebook and Instagram at @bfclab and @cosmoskin.